Lovely Seaside Dining at Point No Point Resort near Sooke, B.C. 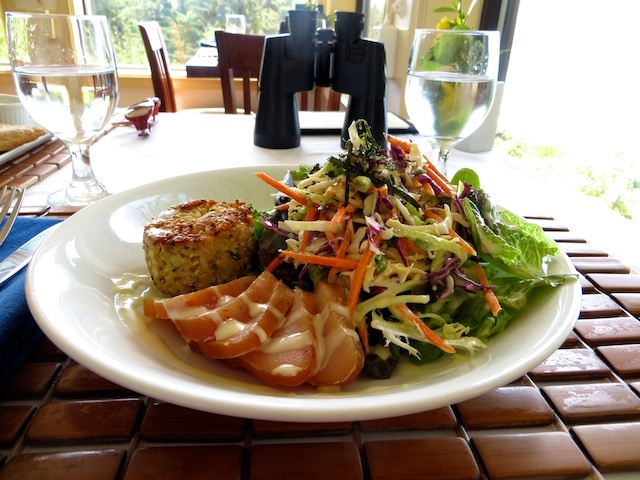 Smoked albacore tuna salad at Point No Point Resort, west of Sooke, B.C. How’s this for a perfect lunch experience? At Point No Point Resort, west of Sooke, B.C. on southern Vancouver Island, there’s great food, of course. 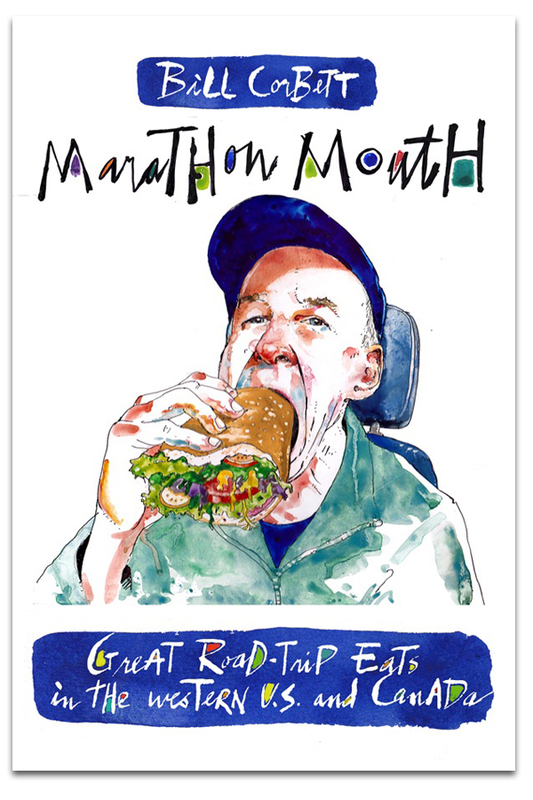 It starts, perhaps, with a bowl of chowder ($7) packed with clams and rockfish, followed by a smoked albacore tuna salad ($14) or an enormous quesadilla ($12) featuring an unusual filling of squash, edamame beans, pumpkin seeds and melted aged cheddar. 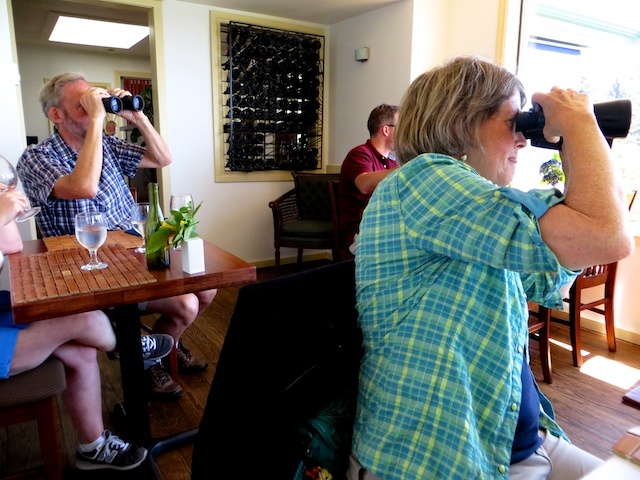 But it’s hard to keep your eyes focused on the meal when nearly every table in this charming old house is a window seat overlooking the Strait of Juan de Fuca. Is that a pod of orca whales cutting through the distant waves? Just pick up the binoculars stationed at every table and scan the waters below. Finish your stay with a walk down through salt-sprayed forest to an ocean bay on Point no Point’s private trails, open to luncheon diners. How about a post-lunch walk down to a private beach? 10829 West Coast Road, Shirley, B.C. For a more laid-back dining experience, head to Shirley Delicious Café, just down the road in a colourful little building with a garden out front and cheerful owners Phillip and Sheena and staff inside. Try a roasted leek sandwich or a breakfast burrito and latte before going on a seaside stroll in nearby French Beach Provincial Park. 2794 Sheringham Point Road, Shirley, B.C. 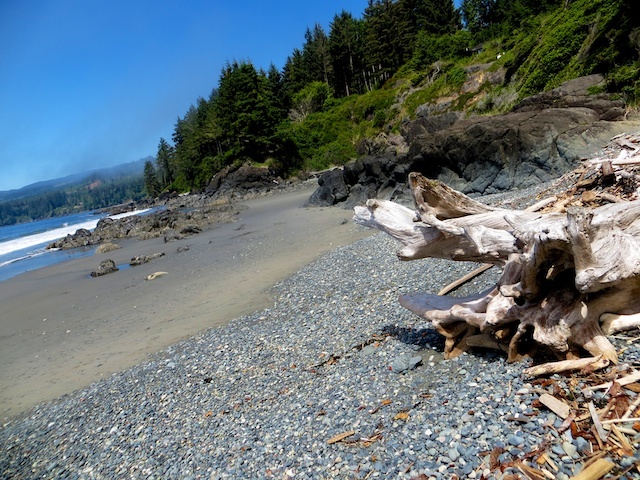 This entry was posted in British Columbia, Sooke, Vancouver Island and tagged Sooke B.C. on August 15, 2014 by bcorbett907.